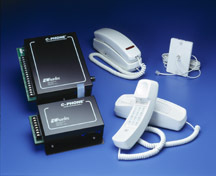 Designed with solid-state components, C-PHONE™ offers more high-performance features than any other communications system. At all times, Katerno will use best efforts to maintain its accuracy. However, if at any time the data or images provided are incorrectly priced or below fair market value or availability has substantially changed or image or descriptions contain inaccuracies, Katerno shall not be held responsible or liable, furthermore Katerno reserves the right to reject any orders placed based on this erroneous information. © 2008 - 2018 Katerno.com. All rights reserved. Earn Points on every purchase! The more you shop, the more you earn. Reward Points can be applied toward any future purchase. There are no product restrictions.